The Posts appearing in this blog will be edited in due course to remove the anomalies and errors appeared during the initial posting. Also additional matters will be added to each post. 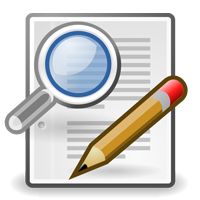 The intimation about the editing will be send to the followers through automatic email. So readers are requested to see the posts again if an error noticed first. Images will also change if an error appeared during drawing or labeling. Such error images will be prematurely deleted from the Media library so that it will not be available in the Net. Thanks for encouraging this blog. 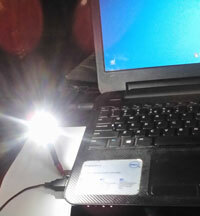 Harvest energy from the USB port of your Laptop or PC to light an LED lamp. It is useful as an Emergency lamp in the event of a power failure or it can help you to use the Key pad in night without disturbing the sleep of others. It is too simple and easy to make it. The USB.2 .0 port available in all laptops and PC gives 5 Volt DC and 200-300 milli ampere current. It is enough to light a High power 1 watt LED. Just plug the light in the USB port and enjoy its light. Cool! it is good enough to read a book also. In the market its costs Rs. 300 and you can make it for just Rs.10.